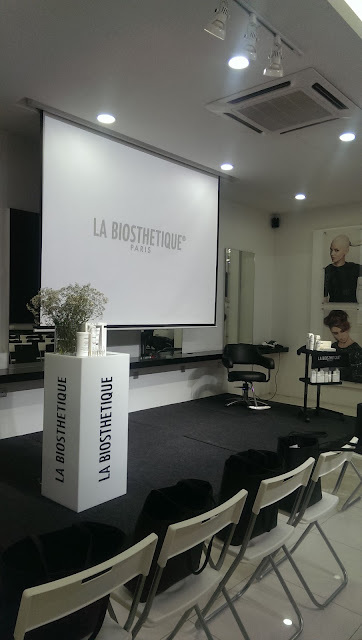 La Biosthetique Paris latest PCC hair treatment is now Available in Malaysia! Do you know that most hair treatments only recovers the outer cells of our hair which only works temporary? If you haven't heard the PCC treatment, it is currently the latest scientific treatment for hair which helps to restore and connect the molecule bonds of our hair cell. 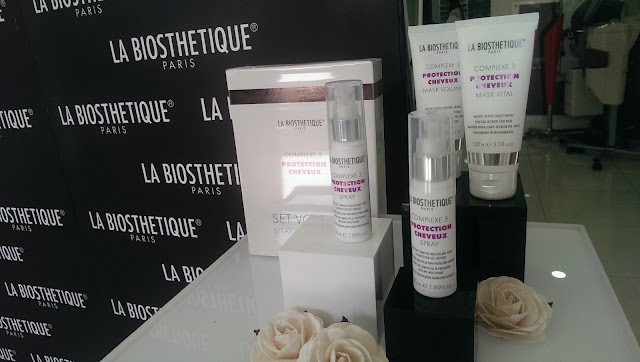 La Biosthetique PCC ( Protection Cheveux Complexe) treatment from Paris ! This hair care brand is only available in specific hair salon in Malaysia and are not sold in any other drug store nor online. Yes, It is that exclusive. 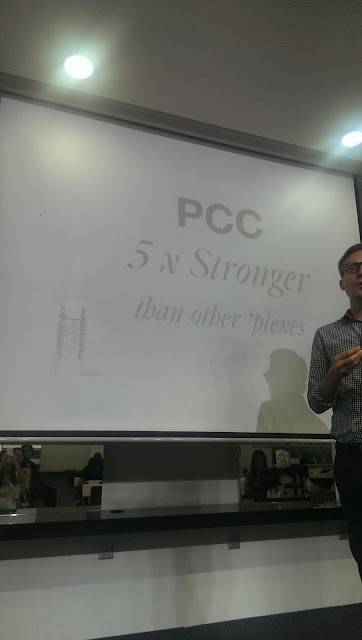 Alex flew all the way to Malaysia to give us a scientific education on how does the PCC treatment works and How it differs from other hair treatment products out there. Their PPC treatment is currently a heat trend in Australia and thankfully I was the Model of the day so I would be experiencing their treament and giving you guys a review opinion ! So read till the End yeah ! 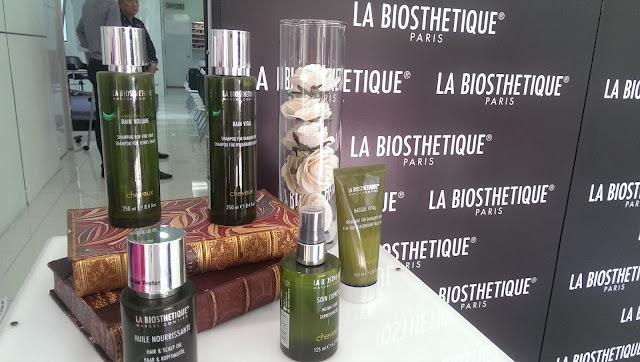 First, let me elaborate more about Who and what is La Biosthetique? 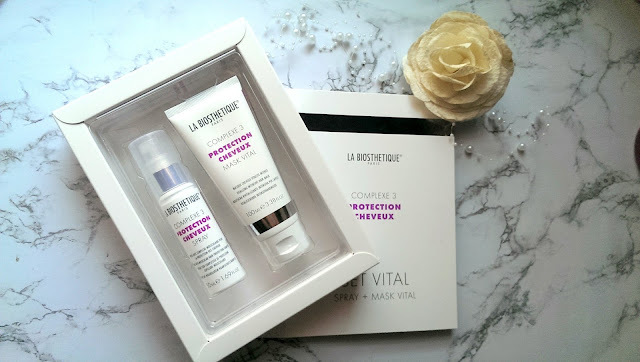 The Origin of LaBiosthetique is from Paris and their current production factory is in Black Forest Germany where their products can easily obtained natural ingrediants from their surroundings such a pure mineral water and plants extractions. Their products are scientifically tested and dermatologically confirmed by institutes for independent testing in cooperation with university clinics using voluntary testers.Their product not only meets it’s native EU standard, but also examination by the Australian Government’s Department of Heath (NICNAS). 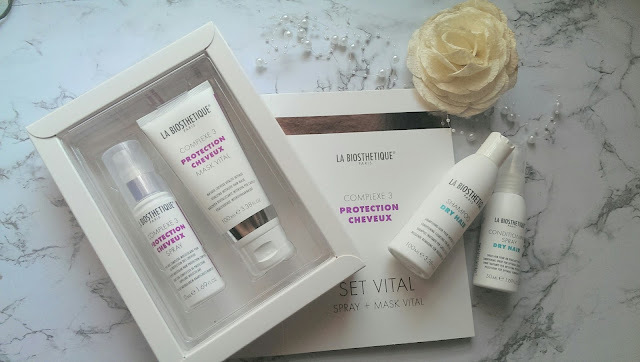 Are La Biosthetique products tested on animals? No. They test with continuous, intensive scrutiny with a team of international biochemists and we strictly forbid animal testing for any of our products. Apart from that they uses Renewable energy, Carbon footprint, Recycling materials for their bottles and packaging, Responsible sourcing and their ingrediants are Bio-degradable. Apart from Hair care range products, in EU and Australia, La Biosthethic also sells their skincare and makeup products. They also have different series of hair care range patented for those with dry hair scalp, oily hair scalp or even sensitive hair scalp. As for the PCC treatment known as the Protection Cheveux Complexe Apart from their hair treatment, they also do provide a series of hair care products where you can take home and use to maintain your hair health! 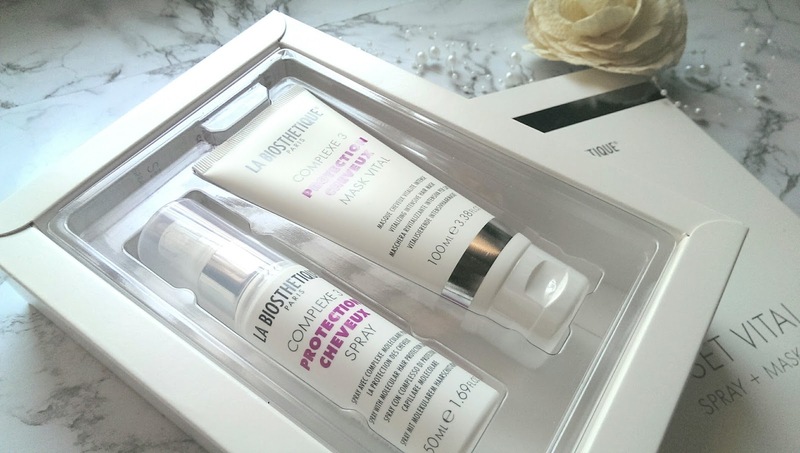 I had the fastest hair treatment ever in my life with the PCC Treatment ! It only took me about 30mins alltogether and their products smells really good. But the first treatment I do smell some sulphur during the treament progress. Now here's some science lesson on how PCC treatment works and why when we perm our hair or uses this treatment it smells of sulphur. 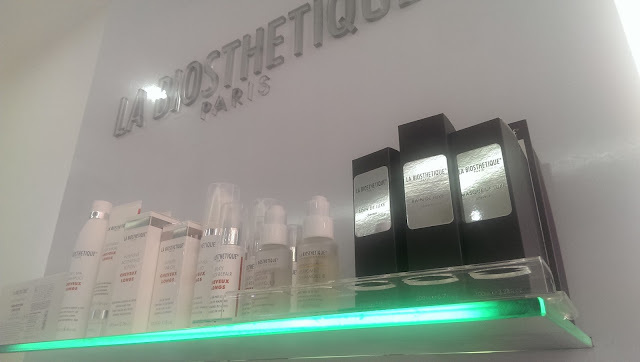 There are 4 ingredients in the PCC ampoule treatment which is only available in Salon. Cysteine - Stops permanent damage to sulphur during colouring process. Magnesium : Fortifies sulphur bonds with additional strength ! But the strongest one that breaks the hair molecule bond is Perming the hair and that makes the hair curl bond last longer. However, by breaking and rebonding this hair molecule causes a bad damage to our hair in the long run and usually most hair care products would fix the bond externally with just Keratin treatment that holds only temporarily. So PCC treatment works differently by fixing the hair molecule bond of the deepest atomic molecule that would help the hair to regain back it's health and become less brittle. Right AFTER the PCC treatment,everyone could see a signifant change in my hair as it became much more shiny and I do feel like my hair is less brittle. My hair even sway so easily without entangling! 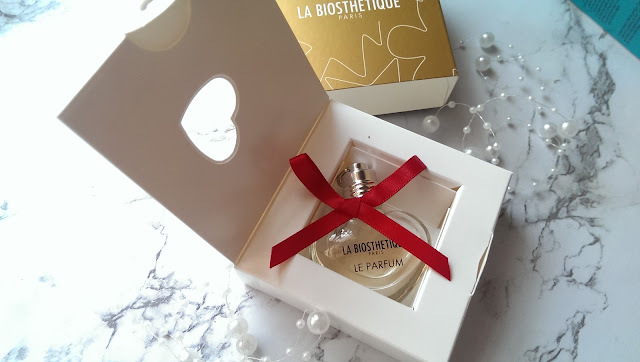 We bloggers also got to try out La bioesthethic special mini Le Parfum. I also got to try out the PCC Set Vital for damage hair and also their Dry Skin Shampoo and Conditioner Spray. Well, I must say their hair care products fragrance are just so nice and fruity. Do try out the PPC Treatment in various salon in Klang Valley Area ! Here below are the Lists of salons that you can do your treatment at depending on your location. Click the Links of the Salon and it will show you the directions. I Hope my review and intro of this brand would help you guys in making the best choice for your hair.